Beyonce may be mother to twins, but it appears she has a twin of her own. 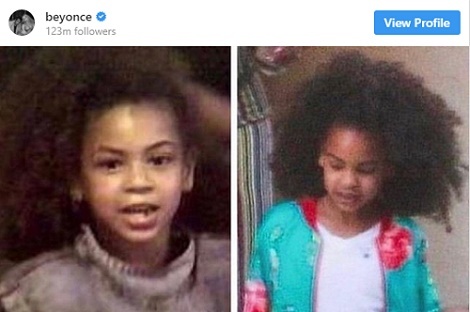 The singer took to Instagram Thursday to share a collage that combined a picture of daughter Blue Ivy Carter, 7, next to a picture of herself at the same age and let's just say they look ***flawless(ly) similar. In the photo, Blue Ivy is a the spitting image of her iconic mother, even rocking her natural locks in the same hairstyle as young Bey. "Someone made this comparison of me at age 7 and Blue at age 7. 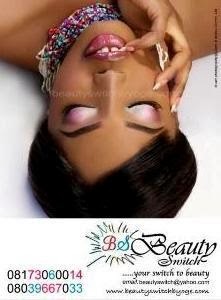 My baby is growing up," wrote Beyonce, who rarely adds captions her Instagram pictures.